In the age of the entrepreneur — and social media — companies have started taking on personas of people, and people are now becoming more like companies in the ways they interact with their customers. As a result, entrepreneurs, specifically beauty professionals, need to understand how to market themselves as individual companies, stay relevant, and build personal brands. A fairly new phenomenon, personal branding is the process by which you find what makes you special and then use those discoveries to communicate a message to your target audience. Your personal brand is what makes you distinctive and separates you from others in the marketplace, and it’s the first impression that pops into the minds of your peers, colleagues, and clients when they think of you. A solid personal brand can be very effective in helping you meet your career goals and expanding your business. The beauty industry is a vast world of talented and creative individuals all striving to get noticed, and in this highly competitive market, it is necessary to learn to leverage your talent to create value and build a personal brand that is strong and ever evolving. Follow these steps to build and maintain your own personal brand. The discovery stage is the most important and time-consuming step in the process of building a personal brand because it is the foundation on which to build everything else you will do. Personal discovery is all about taking inventory of your skills and exploring who you are and what makes you special. In order to develop a strong personal brand, you must first clarify your career objectives. Ask yourself questions like: Who am I? What are my strengths? What skills do I have? What do I want to be known for in the industry? Where do I see myself in five years? What do I hope to achieve and learn in my industry? What is unique about me? What are the things I do that really make a difference in my business? Becoming more self-aware will help you to define your brand more clearly. As you continue to think about the talents and abilities that are uniquely you, there are two types of skill sets you should consider: tangible and intangible. Tangible skills typically refer to the specific benefits that people will derive from you — hard skills. Intangible skills refer to the positive feeling people have about you — soft skills. Hard or tangible skills are quantifiable abilities, which include specific knowledge like acrylic application, gel nail application, manicures, pedicures, or any other teachable abilities that can be defined and measured, and are required for success in a job. Soft or intangible skills are personality-driven skills that affect interpersonal interactions, and while very different, intangible skills are just as important as tangible skills. These skills include characteristics such as leadership, communication, etiquette, getting along with others, listening, and other skills that aren’t easily quantifiable. Because you work with the public, soft skills are especially important and in many cases can take you further than your talent. Once you figure out who you are, what your strengths are, and what you want to be known for in the market, write those discoveries down. Next, solidify what you want your brand to be, based on your tangible and intangible assets. You are your talent. Use yourself to brand your business. Once you’ve defined your brand, creating your personal marketing assets, or branding tools, is the natural next step. 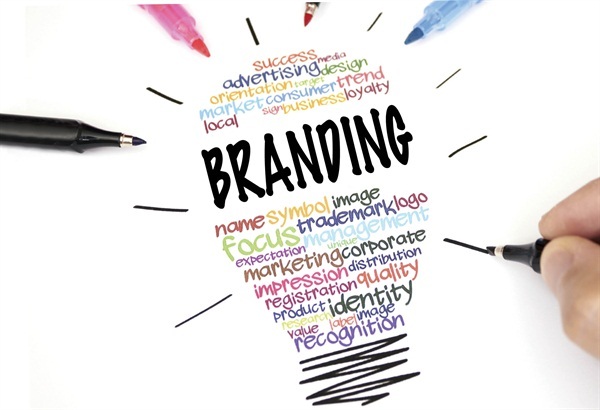 Branding tools are a combination of online and offline materials that assist in driving your brand. They are vehicles that help establish your message and communicate that message to your audience. At minimum, personal branding tools should include a resume, business cards, social media networks, and a website or blog separate from your business website that is dedicated to the brand of you. Additionally you may want to have professional photos and fliers on hand. Your tools are representative of you, so the look, feel, and tone should be consistent across all channels. Logos, colors, taglines, and messaging should be consistent and always support your brand mission. Now that you’ve figured out the foundation of your brand, it’s time to think about how you will define it to someone else and how you will communicate your branding message. You won’t become known and respected if you don’t know the unique value you provide and how to connect that value to your audience. Your brand should be authentic to you — relevant, unique, and able to evolve as you grow professionally. Your goal is to create avenues along which you can create value and brand yourself for where you are going, not where you are currently. When communicating your personal brand, it is important that you develop a niche and connect yourself to a topic or skill for which you want to be known. Ask yourself early on what you want to be known for in the beauty industry. For example, do you want to be known for amazing nail art designs, be recognized as a leader in natural nail care services, or identified as the premier celebrity nail tech? Is there an underserved or neglected area of the beauty market you can serve? “Make it immediately clear what your niche is,” says Mahloch. “It’s important to understand what audience you are trying to reach. Once you have this figured out, it’s a lot easier to speak to that group and really make a name for yourself.” By developing a niche, you can provide more value to your clients because you have honed your expertise in an area relevant to them. Don’t be a jack-of-all-trades, be an expert! Become the “go-to” person on your subject matter. After you have decided what tools to use and how to use those tools to communicate your brand, managing it is an ongoing task. Not only are you responsible for continuing to grow your brand and keeping your tools current, but you are also responsible for reputation management. Your audience needs to see you continue to grow and evolve, and through your work you can make sure your reputation precedes you in a positive way. The three most important things beauty professionals must do to manage a personal brand are to maintain an online presence, engage, and show involvement. Always keep social media updates relevant and provide valuable information to your target audience. Also, share information or comment on posts and blogs of other influencers in the beauty industry. “Media and avenues for getting information out change so quickly, so it is important to stay ahead and to stay in front of the right audience,” Mahloch says. Everything you do becomes part of how you are communicating your brand — from the way you handle phone calls and social media posts to the way you conduct business in a meeting. Your network of colleagues, clients, and friends is the most important marketing tool you have, and what they have to say about you and your contributions is what the market will ultimately use to gauge the value of your personal brand. Tiffani Douglas is a licensed nail technician and marketing professional with a passion for the beauty industry. Her goal is to help beauty professionals discover new frontiers in the beauty business. She is the author of Social Media Marketing: A Guide for Beauty Professionals and beauty blogger for Tiffani’s Beauty Parlor.